Home / Archive by Category "Chocolate Fountains"
The holidays are right around the corner and with that comes all of the crazy busy schedules to get everything bought, wrapped and prepared. 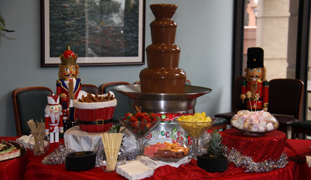 This year, Chocolate Encore is offering several options to help take some of the stress off of your holiday food planning. We are always offering our delicious Belgian Chocolate Fountains and crafted candy and s’mores buffets, but did you know we do decorated dessert buffets complete with holiday favorites like fall flavored cheesecakes, gingerbread men, crème de mint brownies and custom cupcakes and mini pies? 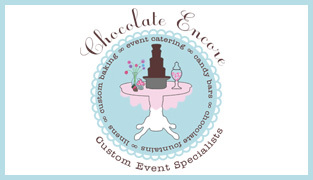 Call us today, we are booking out fast and would love to help make your party super sweet! Pictures of desserts can be found on www.facebook.com/chocolateencore. 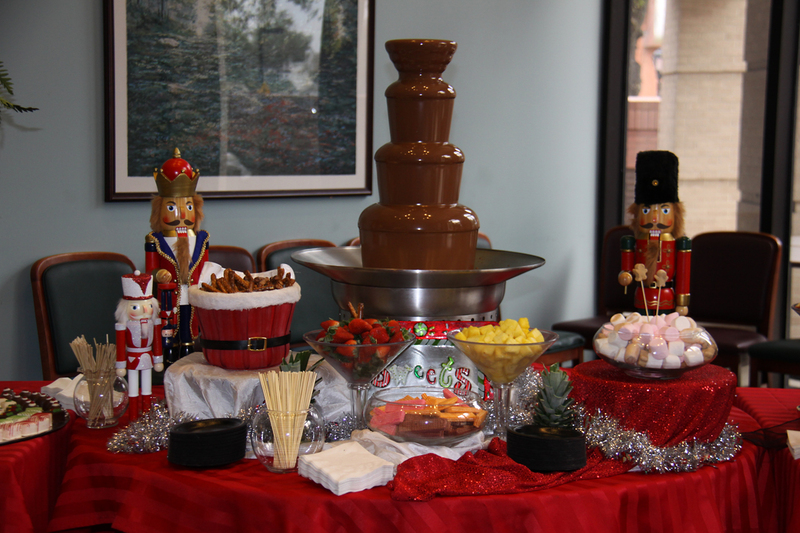 Chocolate Fountains Are Here To Stay! This year marks our 5th anniversary! 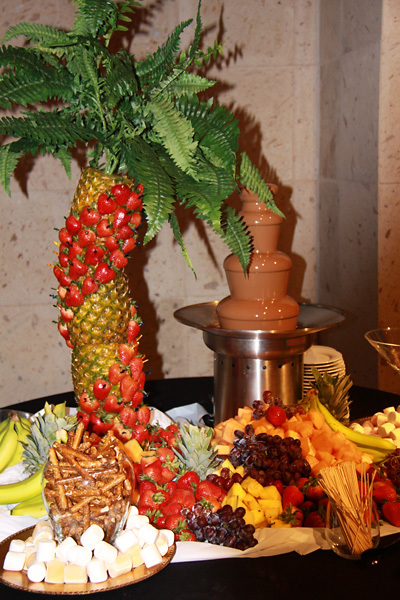 Starting with just one chocolate fountain we have grown our business to the event catering business it is today. Staying up with the trends and focusing on customer service and needs has truly been an exciting venture. This month we have transitioned our showroom to a commercial kitchen in the Cypress area and we are excited to see what the future holds. Many thanks to Elaine Potter with The Bavarian Cakery (www.BavarianCakery.com) for her many years of support and partnership with our catering ventures! She truly is a blessing from above. Long ago I realized that to stay in this business you have to know your competition but more importantly, you have to make your business unique to you and each client and create the very best product and presentation each and every time. We are committed to use true Belgian chocolate, not imitation, bulk chocolate or products out of a can. Our chocolate is Kosher and we also have Kosher Parve available (not Belgian). Depending on your personal taste, the chocolate can be enhanced with color or flavors like amaretto, hazelnut and other favorites. White chocolate can be hand died to match your event colors too! As every client is different, so is each set-up. Ranch dressing with fresh vegetables for dipping like snap peas, cherry tomatoes and broccoli and cheese stick to name a few! BBQ sauce with skewerd chicken and beef, fries and everything else fabulous drenched in our sweet and savory warmed sauce! One thing is for sure…if you can dream it…we can probably do it! Fountains are here to stay!